Why is early evening such a bad time of day? Why do babies fuss at this time more than at other times? And how can we make Horror Hour less horrific? At the end of the day our threshold for sensory input and interactions get lower, in other words we can tolerate less. So we respond to the world with a degree of irritability. As adults we are able to self regulate and adjust our world so that we don’t become over stimulated. We do this by having chilled sundowner or zoning out whilst watching soap operas. Of course when a demanding baby or toddler comes along out goes our de-stress ritual. So not only are we tired and over stimulated, but babies are that much more susceptible to overstimulation than adults. This combination results in suicide or horror hour! As your baby approaches the end of a busy day his threshold or tolerance for stimulation decreases. 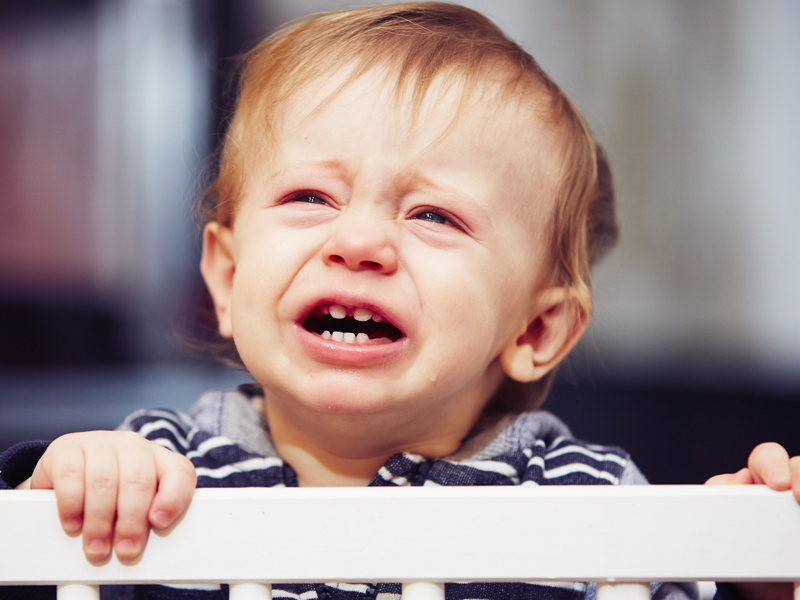 The smallest of interactions such as dad coming home or the stimulation of a windy tummy can be enough to trigger a colic attack in a little baby. In a busy toddler just limit setting after supper or even the sensory demands of dinner may bring on the horror hour that we all wish to escape. Keep your baby’s late afternoon calm, for instance take a walk in the pram or just reading quietly before supper and bed. Be sure to follow the appropriate ‘awake times’ for your child. (See Baby sense) Over tiredness exacerbates the problem. A young baby will require an afternoon nap, depending on his age as late as 4:30. In the baby over a year, the late afternoon nap will fall away but a good lunch time sleep is essential to see him through to bedtime without being over tired. After 5pm change the tempo of the household to a calmer and quieter environment. As hard as it is encourage Dad to treat homecoming as a happy but calm reunion and rather keep the excited play and roughhousing for the morning. Although kids are excitable in the bath, add some lavender oil to sooth them. A soothing massage and warm towel down also helps. Feed your kids earlier rather than later as a hungry tummy and low blood sugar level exacerbates the problem. Avoid socializing at this time of day, a trip to a busy family restaurant is not always the wisest move at 5pm – keep these outings for lunch time. This entry was posted in 3-6 Months, 6-12 Months, Baby, Sleep and tagged Sleep Advice, Sleep Routines.